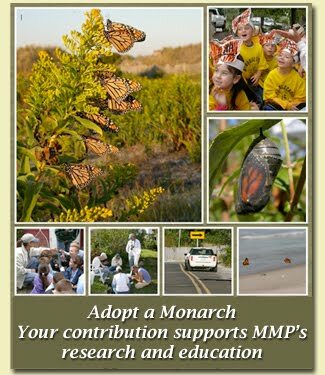 Cape May Monarch Monitoring Project: Can't leave Cape May. While most monarchs from eastern North America have completed the migration to Mexico, a few don't behave like the vast majority. 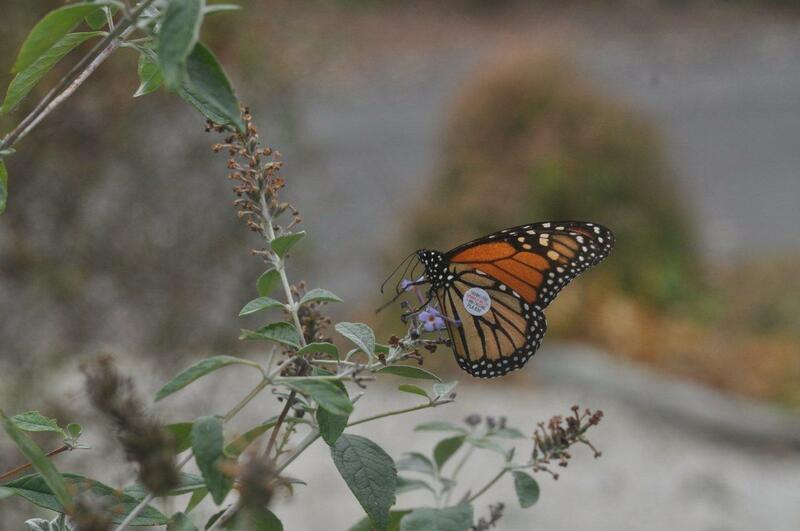 This monarch, tagged in Cape May Point on October 26, was photographed by Will Kerling on November 14, still in Cape May Point. Eventually freezing weather will arrive, which will spell the end for PLA 834. Will that happen here in Cape May, or will he eventually start south? Keep watching for tags and let us know if you see this fellow somewhere along the way. What an exciting shot! The monarch is feeding and looks healthy. You got a shot clear enough to read the tag, and you know the tagging date! And the fact that it is not migrating now, adds to the pool of information. Wow monarch butterfly's are pretty. Wonder why we call these flying insects butterfly's?